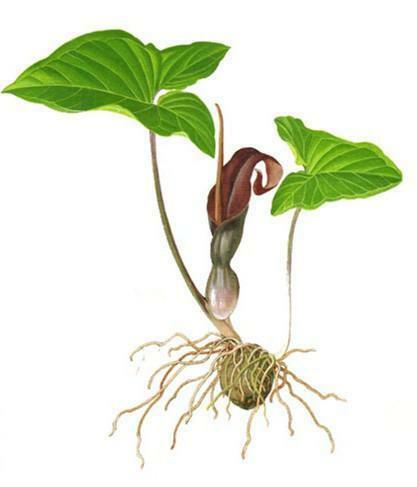 The drug is the tuber of Typhonium roxburgii Schott(family Araceae), growing in Tengchong in the west part of Yunnan, cultivated in plant garden of Kunming. It is used to counteract toxicity and relieve swelling, and as an anesthetic; for the treatment of snake-bite, sores, bleeding due to external injury, trauma, fracture, enteritis, gastric ulcer, rheumatic arthralgia. Decoct 3~6 g. Proper dosage is for external application, pounded for applying.